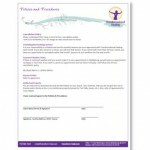 Please read through and sign our Policies, Procedures and Agreement Form. If you have any questions don’t hesitate to ask. When you are ready to get started, we ask you to provide some information that will help Transformational Healing assist you in your journey. This form in online and will come directly to Cindy. You will receive a PDF. Download of PDF of the BHS Principles of Practice posted on this site. 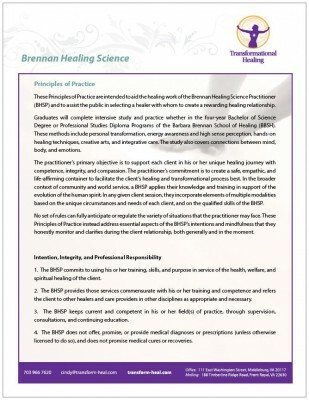 These Principles of Practice are intended to aid the healing work of the Brennan Healing Science Practitioner, BHSP and to assist the public in selecting a healer with whom to create a rewarding healing relationship.